After school on Saturday afternoon, a teacher asks her 6th grade students, Budi and Rosi, to take charge of raising the flag for next Monday's ceremony. Because the flag is dirty, the teacher asks them to take it home and to wash it. The kids go through many adventures as a result of taking the flag home. Berlian lives with her only child, Daya after her husband left her. She’s very protective with Daya as she grew up as teenager. Daya keeps her ears near to ‘pasir’ (sands) to listen the sounds around them and to keep them alive. A widow of 65 lives alone but denies she is lonely. Her family sends her in-law’s nephew, teenager Abi, to help around the house. The widow, who is starting to feel insecure about her fading beauty, and Abi, a teenager exploding with emotions, begin to change their perception of each other, from awkwardness to attraction. ​At a high school for the visually impaired, the students are like any other teenagers: they attend classes, pursue artistic endeavors, and fall in love. The most privileged of the bunch, Diana (Karina Salim), patiently awaits signs of womanhood and humors her mother's attempts to mold her into the perfect girl while Fitri (Ayushita) continue her affair with punk-rock (Nicholas Saputra). During her trip around the city with traffic jam, Nay (Sha Inne Febrianti) find her fetus is eleven weeks old already. Not only that, also she just received the news that she is selected as the main actress in an international film production. She’s torn between all her problems and how decide which one is best. Not to mention she also haunts by her past. Pakis is a young girl from a fishing community of the Bajau people in Wakatobi, who lives with her mother, Tayung (Atiqah Hasiholan). As Pakis' father has been lost at sea, Tayung works hard to support her daughter. Pakis, however, is determined to search for her father, a quest which brings the two into conflict. 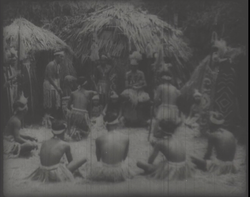 Pakis regularly visits a local shaman, who conducts a ritual allowing Pakis to search for her father in a mirror's surface. Pat Kai, a pig-man just back in town and wed Tjoei Lan, a woman. When she birth a child, it’s not a human but a pig. Her father throw them out of the house. Pat Kai and Tjoei Lan try to survive. Darmadji went to an island, which thousand years ago Maha Daru buried in that island. During the journey, Maha Daru chased after Darmadji then Rumiati shows up. 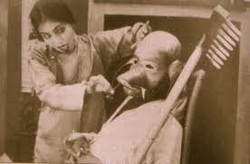 Maha Daru recognized Rumiati as incarnation of Dewi Gumba. 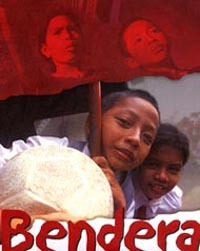 It tells the story of an Indonesian revolutionary who falls in love with one of his Dutch prisoners. 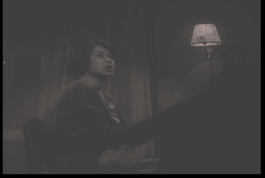 Being protected by her parents, Violetta (Rima Melati) feels like prisoner and make her want to escape. Then she met Kopral Herman and fell in love. 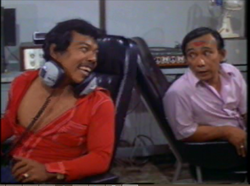 Bing Slamet works in the radio station, Undur-Undur with Benyamin. His job caused trouble in his marriage. Then he met his fan who wants to be a singer. Togar (Alex Komang) is a college student with passion in journalism but his parents want him to be economics. Unfortunately he ends up become a labour. During his day job he met Lola, widow with three kids. An observational documentary about the end of childhood, describing how young Muslim girls grow up in Indonesia 's middle class of today. The film portrays two families during a decisive period of their daughters' school careers in Yogyakarta. In the meantime, the public education system in Indonesia is changing under pressure from Islamic political parties. In Genikan, a remote mountain village on the Merbabu slope (Central Java), a quiet community is facing change without understanding why it's happening. As a community of farmers who rely heavily on the traditional Javanese calendar to plant crops become puzzled by the dramatic change of seasons.